Qatar bills itself as a "bastion of free speech"
Freedom of speech clashing with commercial concerns has been an ongoing theme for many media and internet companies operating on an international stage, but it’s rare that a country’s liberal approach to expression is presented, in itself, as a prime investment opportunity. Now Qatar, the richest country in the world, is positioning itself as a liberal alternative to the other resource-rich Gulf states – as revealed in an op-ed by the CEO of a premier London-listed Qatari investment fund. 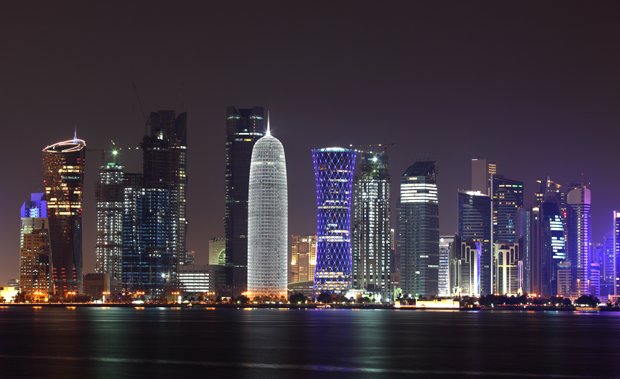 Qatar Investment Fund manages approximately £200m in assets – investing into Qatari equities and employing dozens of fund managers. Its website trumpets Qatar as one of the worlds fastest growing economies, as well as pointing to its hugely lucrative gas exports. But in this piece, the investment managers emphasised a different aspect of Qatar – the the “liberal minded” Al Jazeera TV network and an apparent commitment to free speech, especially when compared with its Gulf neighbours. “Qatar is a bastion of free speech – and the flow of information should help to create a benign environment for investors.” he added. As Wilson mentioned, Qatar now faces an unprecedented rift with the other GCC members – in particular Saudi Arabia, Bahrain and UAE who dramatically withdrew their envoys from Doha recently. He noted that Qatar had not withdrawn their envoys in retaliation, suggestive of their “liberal” tendencies. And Yusuf al-Qaradawi, a provocative Islamist preacher and key Muslim Brotherhood member, is based in Doha. He presents a weekly show and sermon on the Arabic version of Al Jazeera, reportedly watched by 20 million viewers. The outspoken preacher recently incensed the UAE by denouncing the Emirates political policies as “un-Islamic,” in response to an Islamist crackdown orchestrated by UAE’s sophisticated state security apparatus. Qatar, as Wilson noted in his article, has irked its neighbours by allowing al Jazeera, al Qaradawi and the Muslim Brotherhood to be supported by Qatar’s extensive financial resources. It now faces potential sanctions from Saudi Arabia, and Bahrain has even called for the GCC to be split up – unless Qatar shuts down the al-Jazeera TV network, ejects al-Qaradawi and stops support for Islamists. While secretive Qatar is keen to maintain its supportive stance of the Brotherhood, it’s unclear whether freedom of expression comes into play or if there are wider geopolitical considerations at play. More likely it is the latter – analysts reaction to the Qatar Investment Fund’s glowing appraisal of Qatar’s “liberal” values has been muted. “Qatar may be a freer society than some of it’s neighbours, but this is hardly a useful measure,” says David Wearing, a PhD candidate and Gulf Expert at SOAS University in London. Nader Hassan, a professor at the University of South Alabama, thinks the op-ed may fit into a broader PR narrative which is sanitising Qatar’s human rights reputation. “Compared to its more powerful neighbor, Saudi Arabia, this may be true. However, there are significant restrictions on press freedom in Qatar.